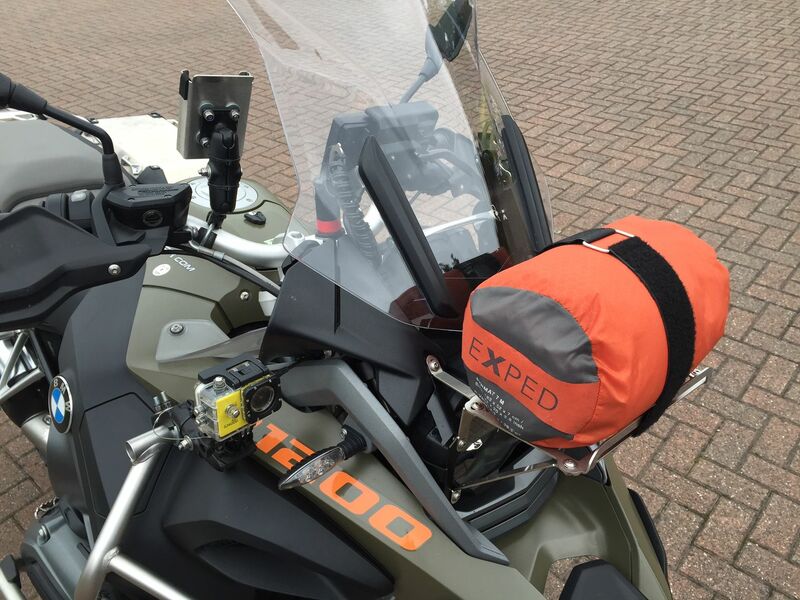 Sometimes my panniers simply can`t take all the stuff I need to take, especially when camping. I`ve tried putting stuff on the back seat and pannier tops (nothing wrong with that) but because I`m not that tall I`ve struggled to get my leg over the seat! What I have designed here is a light duty front fitted utility rack. It has a maximum safe loading of 1.5kg which doesn't sound a lot but can be a set of tent poles or a sleeping bag or a fold down chair. My sleeping bag alone takes up a huge amount of room in my panniers, weighs just over a kilogram and fits well on the rack. Big tip here - if you use it for your sleeping bag make sure to double wrap it in good quality waterproof bags as it is open to the elements. Anyway, back to the rack, its made from high quality stainless steel (including all the fasteners) and is made in a `modular` design (i.e. in as many separate simple pieces as possible) so if in the unlikely event anything breaks call me and I will have to do is send out the broken bit. 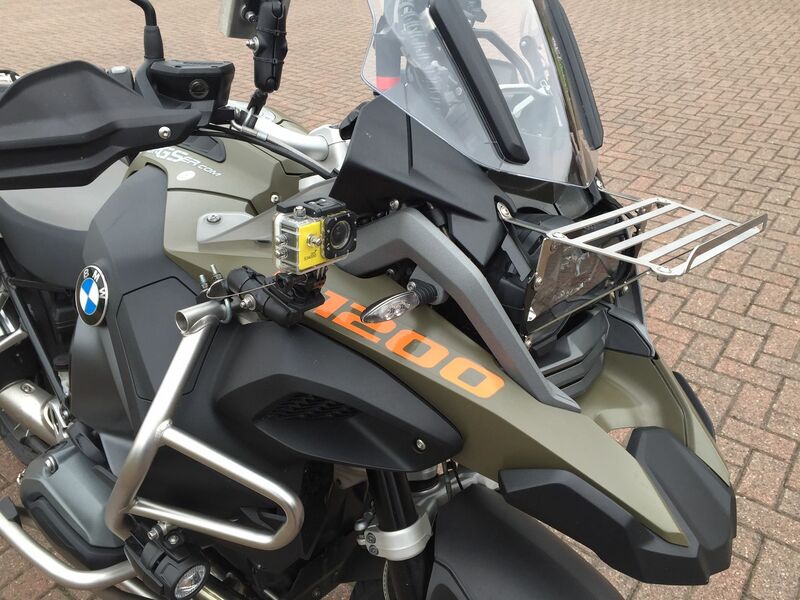 It also allows easy repair when out on an adventure as it can be bent back into shape or welded far easier than aluminium. Because its in many pieces it does take longer to fit but the advantages, including allowing for BMW tolerances in its adjustability during fitment, outweighs the extra time it takes to fit. With that said I fitted it easily within half an hour. 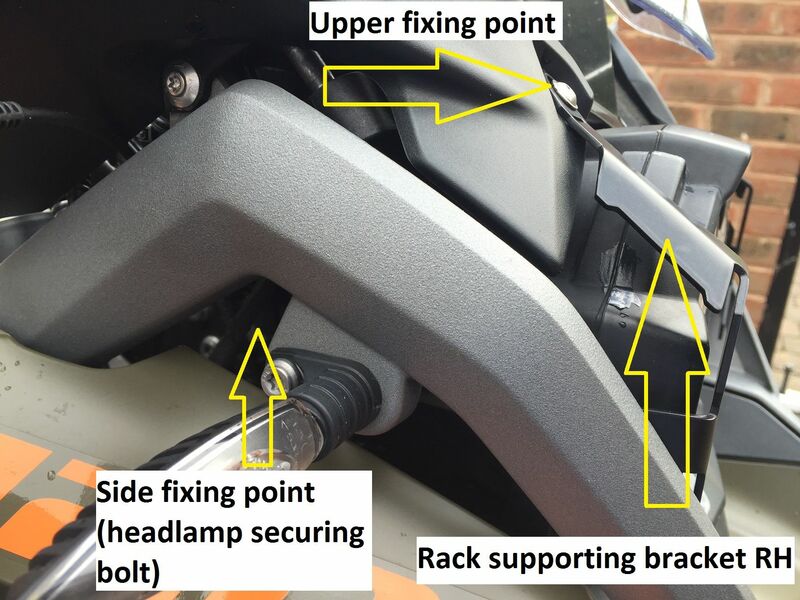 It locates on 4 good existing mounting points (front deflector & headlight fastener points) so there is no drilling and uses my supporting brackets originally designed for the headlight protector (as shown in the photo in black) for the fixing points of the rack itself. 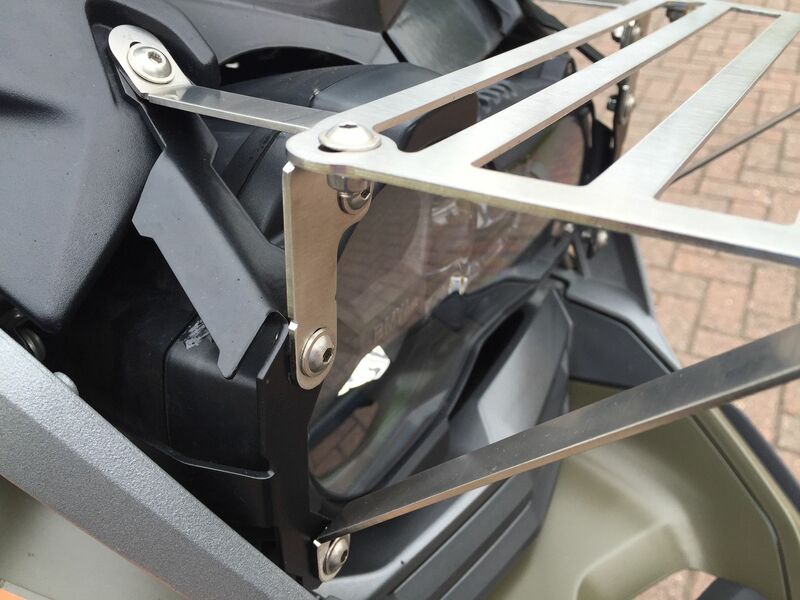 If you have already purchased the headlight protector you will already have the brackets fitted for it to bolt straight on to. 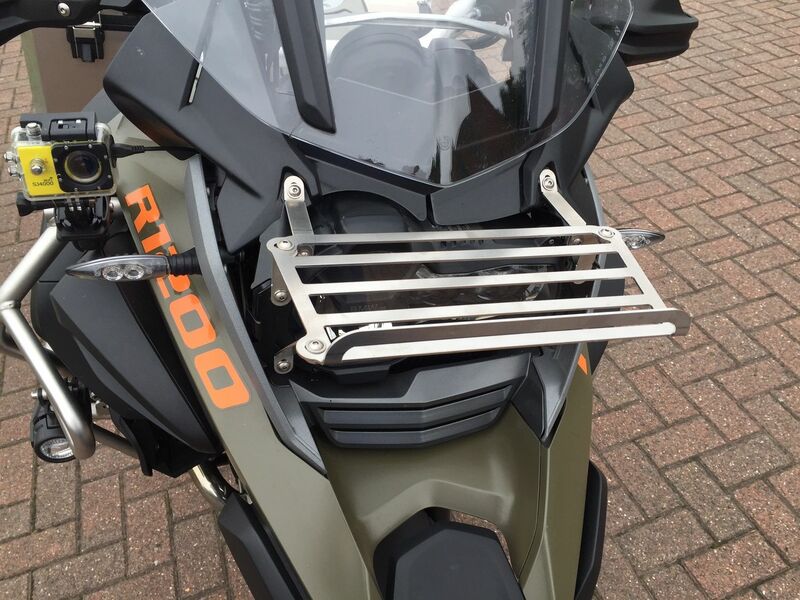 To be clear it comes with all the brackets needed to fit it to the bike. Priced at less than fifty quid (including the VAT) I think its well priced especially when you consider its not mass produced somewhere in Asia but made individually by a craftsman/fellow biker here in the UK. It could be made cheaper if made it in one piece but I don`t normally look to make anything as cheap as possible rather as good as possible. And, of course, I test all my own products on my bike. It will be available in black in due course - this will cost a few pounds more as I have to send the parts away but I always do it `at cost` as I make my profit on the rack itself.